Peloponnese villas with pools, cottages, self-catering accommodation, holiday rental, holiday homes to let, villa with private and shared pools on the Greek peninsula of Peloponnese. The Peloponnese is a large peninsula in the southernmost part of Greece from which it is separated by the Corinthian canal. It has two connections to the mainland, the natural Isthmus and the Rio Antiro Bridge. Like many Greek destinations the area is known by a number of names, the Pelopennese, Peloponnesos, Peloponnesus, Peloponnisos as well as the Greek Πελοπ?ννησος. To cap it all it is sometimes found also under Peleponnese. 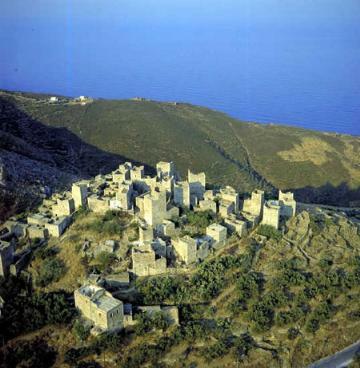 We have 31 villas in Peloponnese . Traveling to Peloponnese is best either via direct flights to Kalamata International (serviced by Easyjet and British Airways on Saturdays and Thomas Cook on Sundays) airport (KLX) or there are direct flights to Athens International airport (ATH) which is around 300 km drive, serviced by Thomas Cook, Easyjet, British Airways, Olympic Air, KLM and Lufthansa. There is a very good motorway, recently built, which connects Athens and Kalamata in the south, it is a toll road but reasonably priced. The Peloponnese climate is perfect for family holidays from April to October is there is lots of sunshine, it's nice and warm and there is little rainfall. The pool at the villa comes in handy for cooling off in the hotter months of July and August. 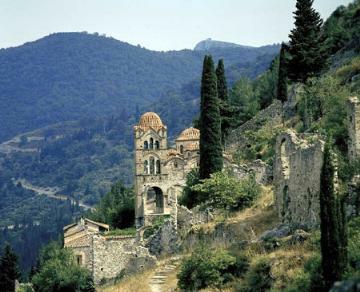 The Peloponnese peninsula has a mountainous hinterland and a dramatic coastline with numerous coves. There are four principal protrusions to the south, the Messenian peninsula, the Cape Malea peninsula, The Mani Peninsula and the Argolid. Most of the Villas Worldwide / Villas du Monde holiday rental properties are in Stoupa in the south-east, then near Pylos also in the south close to the fabulous golf course at Costa Navarino. Handy for Athens is Loutraki and our villas there are out on the beautiful peninsula which is a natural park and has a fabulous sea water lake. Porto Heli (Port Helios) is a rather exclusive destination and there we have a number of luxury homes, some on the waterfront. Our property in Gytheio completes the collection. Just off the coast of the Peloponnese peninsula are the Argo-Saronic islands and another group the Ionian Islands which includes Kythera. The area is rich in history, it was inhabited way back in prehistoric times and through the ages it has been the scene of many a battle. There are numerous archaeological sites on the peninsula including those at Sparta and Olympia. Greek legend is rich in the area, in particular, the mythological hero Pelops was said to have made his conquests here and indeed Peloponnesos means "Island of Pelops". The area is much enjoyed these days for its beaches and the sea with quiet seaside resorts attracting visitors to enjoy Peloponnesian hospitality and holiday in Peloponnese villas.